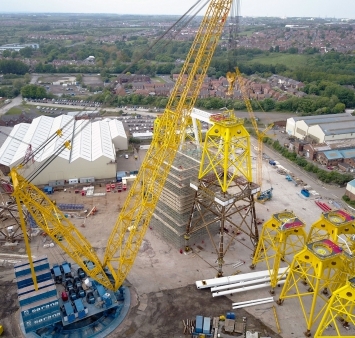 Another milestone has been achieved on the Beatrice Offshore Windfarm Ltd project. 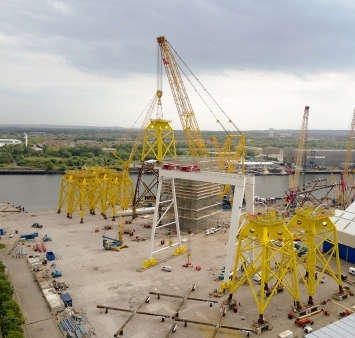 At the Smulders Projects UK yard, the first upper jacket was put on top of the first lower jacket. The complete jacket now has a height of approx. 70 meters! The upper jacket parts are produced at the Smulders yards in Belgium, the lower jacket parts are produced at the Smulders Projects UK yard.